You can support Lone Star Westie Rescue (“LSWR”) simply by registering your Kroger Plus Card online and designating LSWR as your preferred nonprofit organization. It costs you nothing to register – and you still get all the savings and benefits you’ve always enjoyed by using your Kroger Plus Card. After you register, every time you scan your Plus Card (or use your alternate ID) at checkout, your purchases can help raise dollars for LSWR. 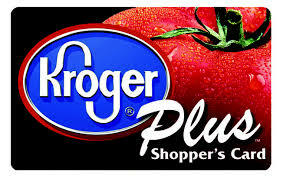 Please go to http://www.krogercommunityrewards.com and click on “sign in/register,” and follow the prompts to register your Kroger Plus Card TODAY (be sure to have your Plus Card number handy). Our nonprofit organization (NPO) number is 84983 and the organization name is Lone Star Westie Rescue.